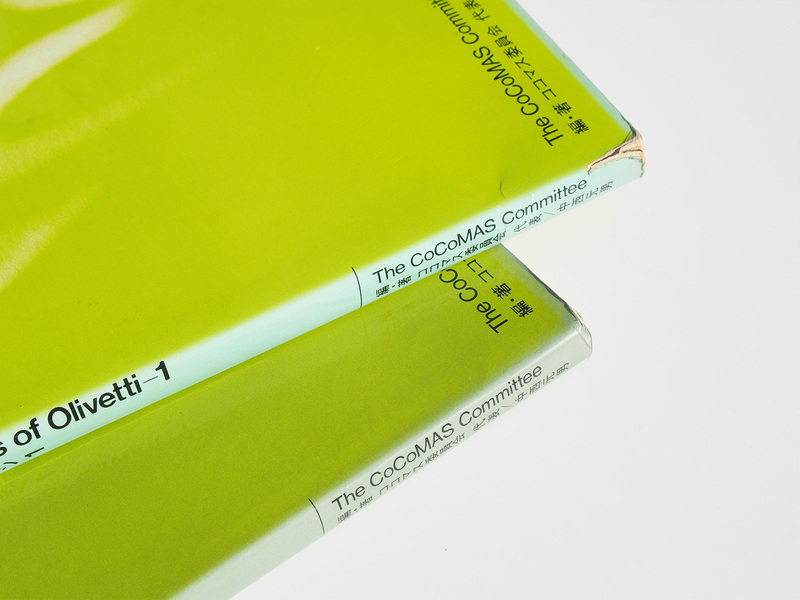 strong age-tunning on the dust jacket with one of pair, small torn spot on the spine of dust jacket with another of pair. Both of 2 are on image slider. 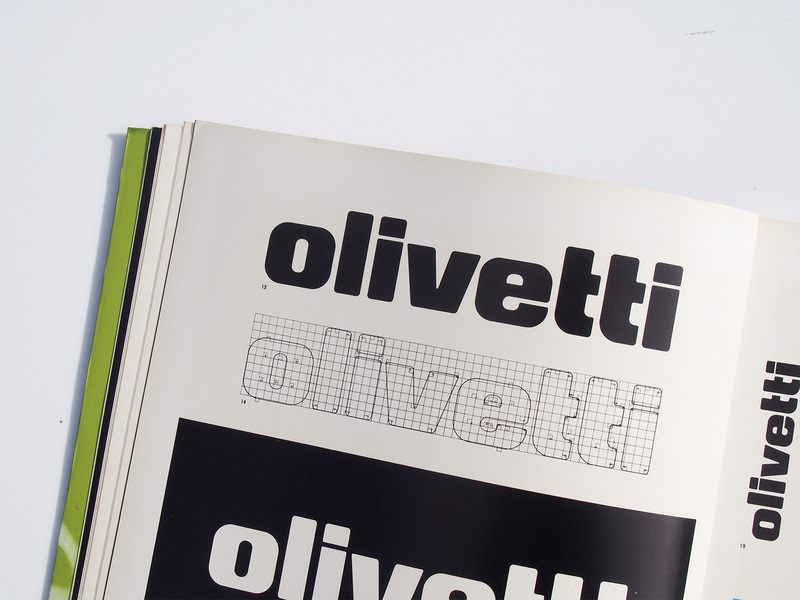 In 1971, Olivetti redesigned its logotype and introduced a new identification system. 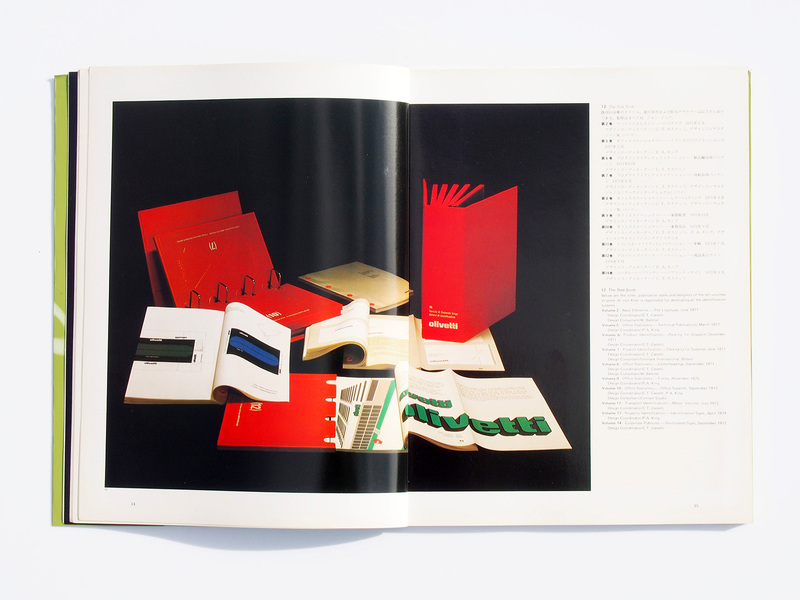 It may come as a surprise to those familiar with Olivetti’s extensive design activities that the company prepared a comprehensive, corporate-level manual on visual communications. 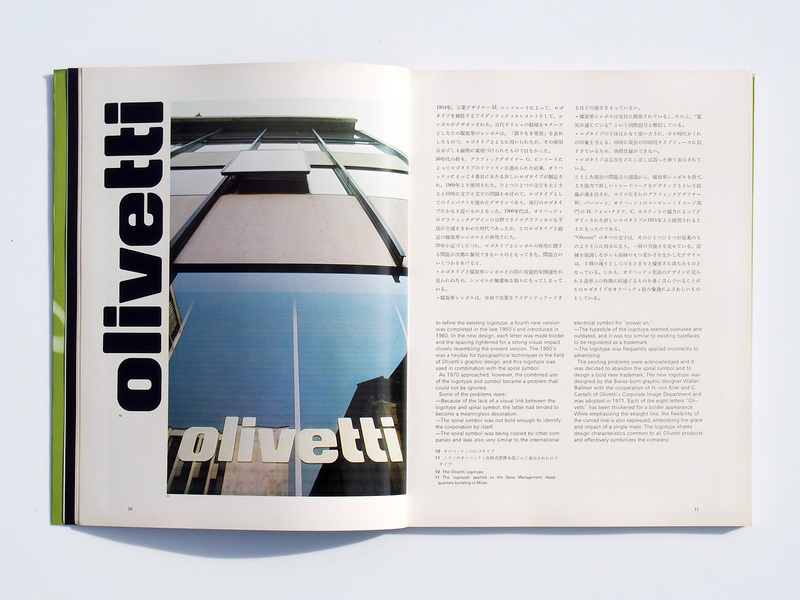 Among modern industrial corporations whose primary goals are economic efficiency and profit=making and which, for this reason, tend to form an order that disregards humanity, Olivetti appeared as a corporation that resisted to the end a system that would evaluate individuality and human potential on a uniform scale. 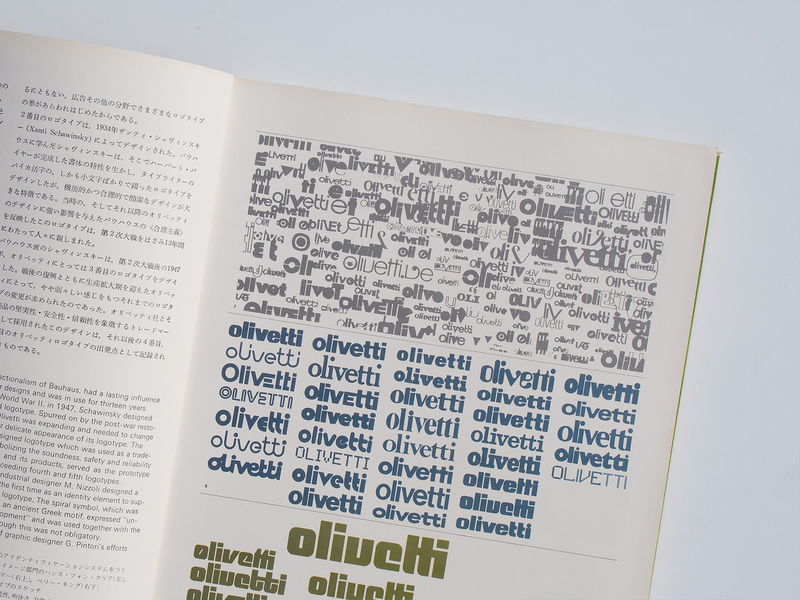 From the design perspective, Olivetti has been regarded as fostering free expression of the talents of many gifted artists and designers, such as G. Pintori and M. Nizzoli, transforming their artistic achievements into business results. 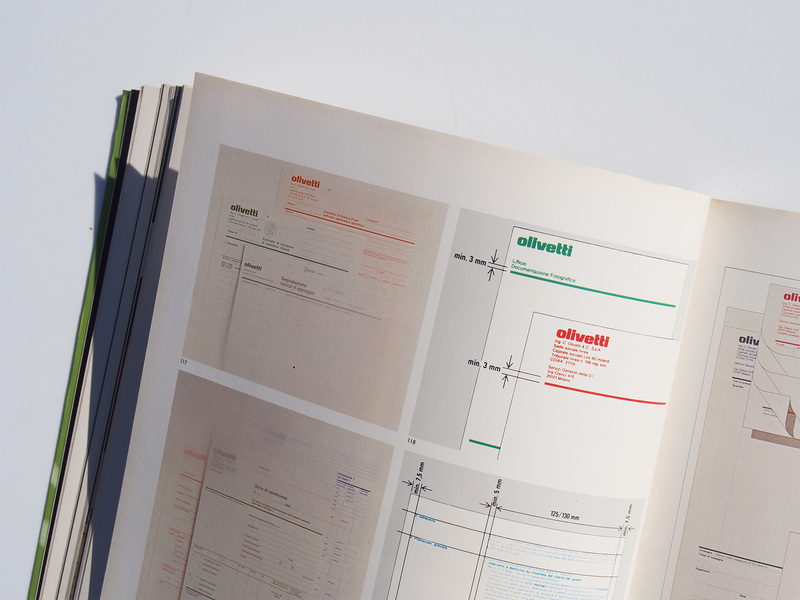 In every case, Olivetti’s design standards have been based strictly on the designer’s individuality, never on numerical values. 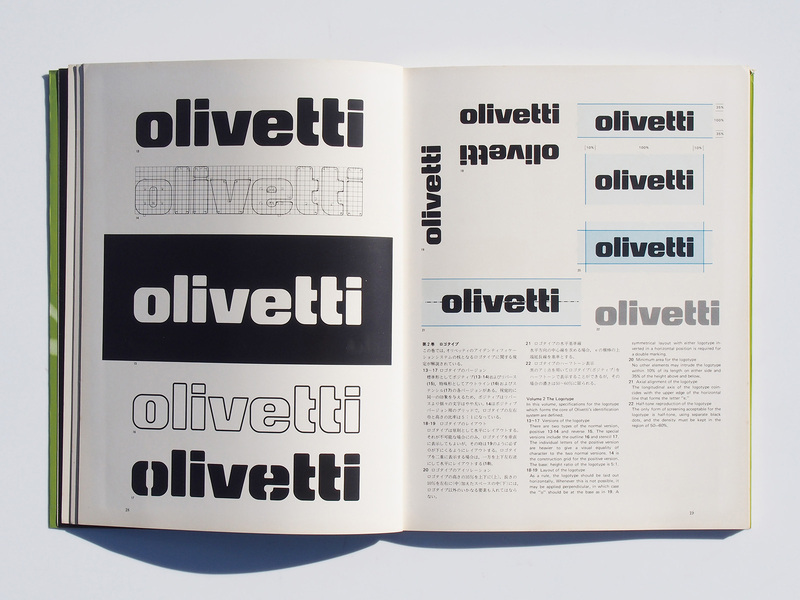 A new identification system for Olivetti, based on the newly developed logotype, was adopted in 1971, firmly establishing a new standard for the corporation’s image and pointing up an obvious change in communications policy. corporations, especially in America, during the past decade. 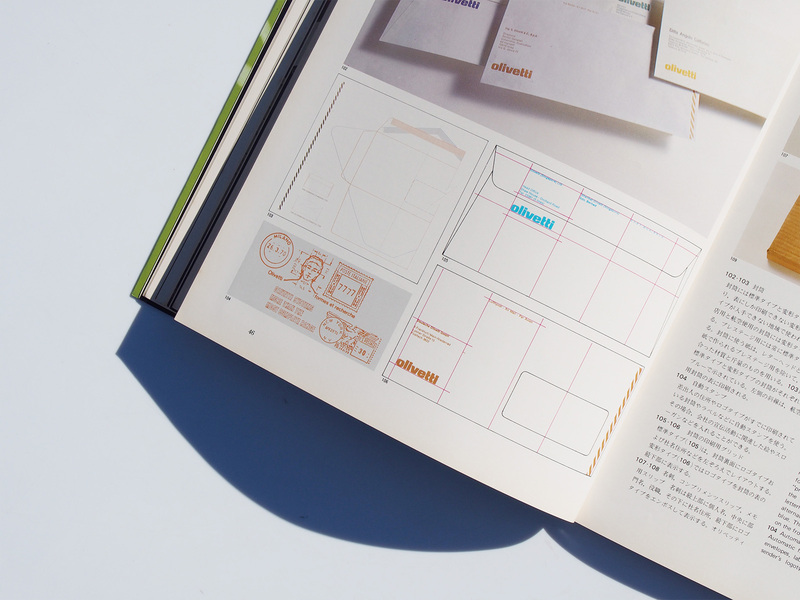 Compared to other identity programs, systematization has been carried out to a rare degree. 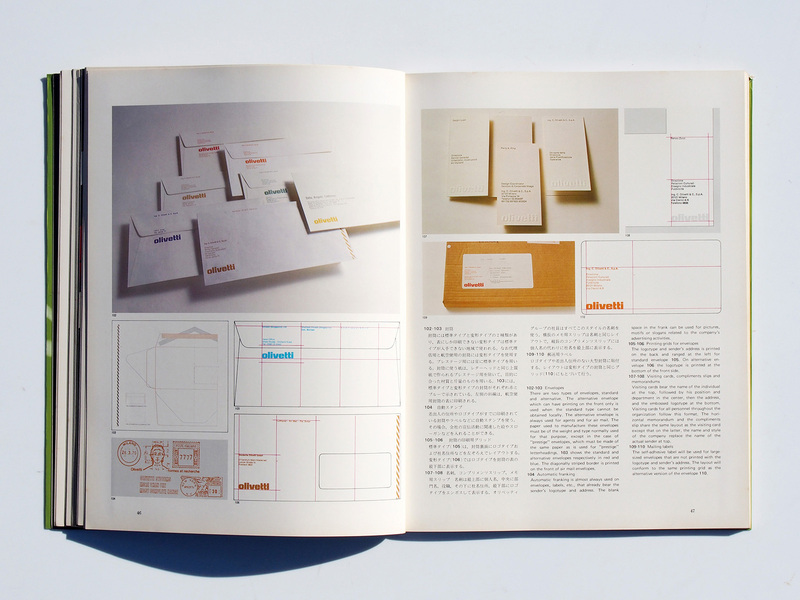 In particular, in establishing both the fundamental elements of a design that bears in mind the nature of the times as well as quality and a flexible system for developing various applications of those elements, the identity system is not a mere set of rules but a highly original work valuable in itself. 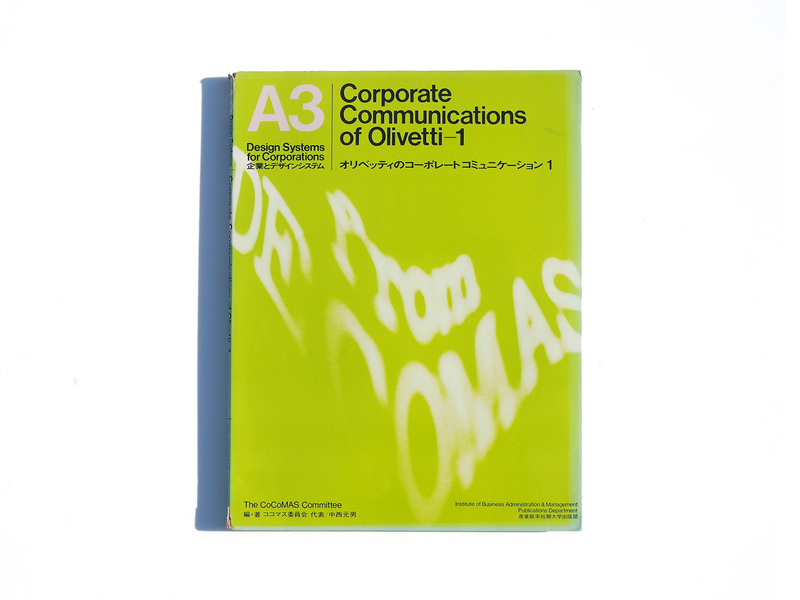 The Olivetti identification system is Olivetti’s answer to what a corporate design system should be and serves as a strategical and methodological guidebook for Olivetti’s communications activities. 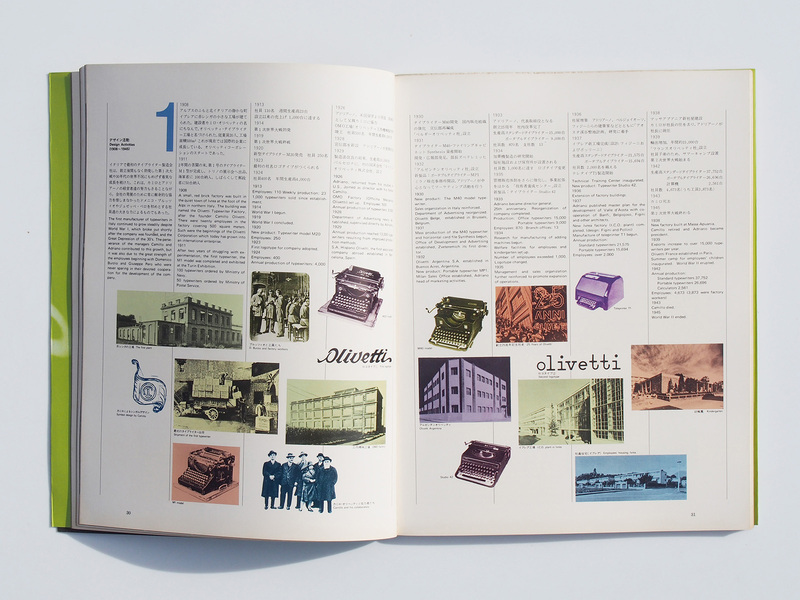 The story goes back in the late 1950’s, the first measure IBM took, disturbed by its extremely weak corporate image compared to its business record, was to send its staff off to study Olivetti’s brilliant design activities in detail. 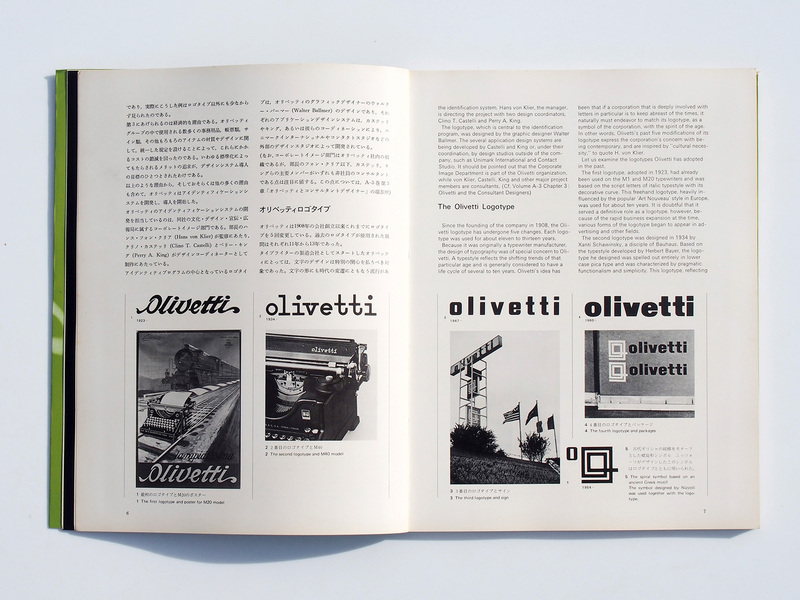 At that time, Olivetti was far in advance of other corporations in its awareness and practice of design and had thereby become one of the few corporations to establish a strong corporate image. 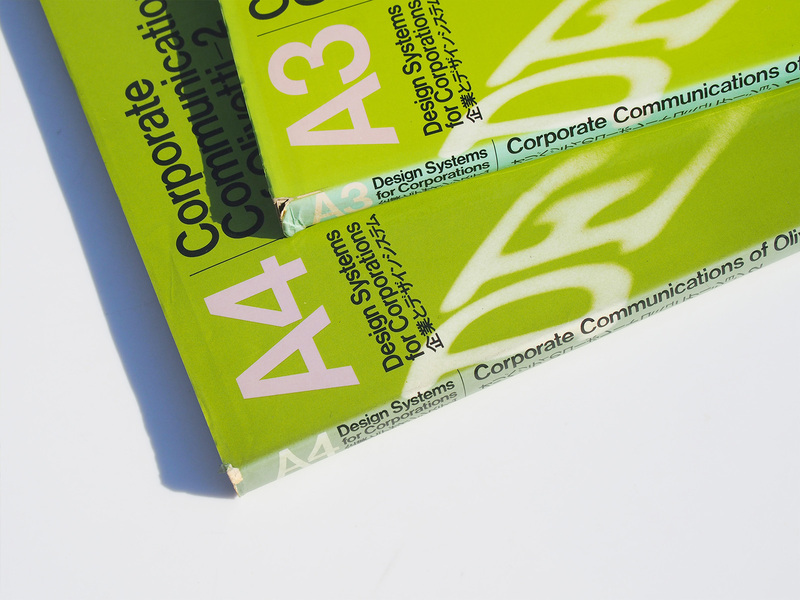 commonly found later among American corporations. 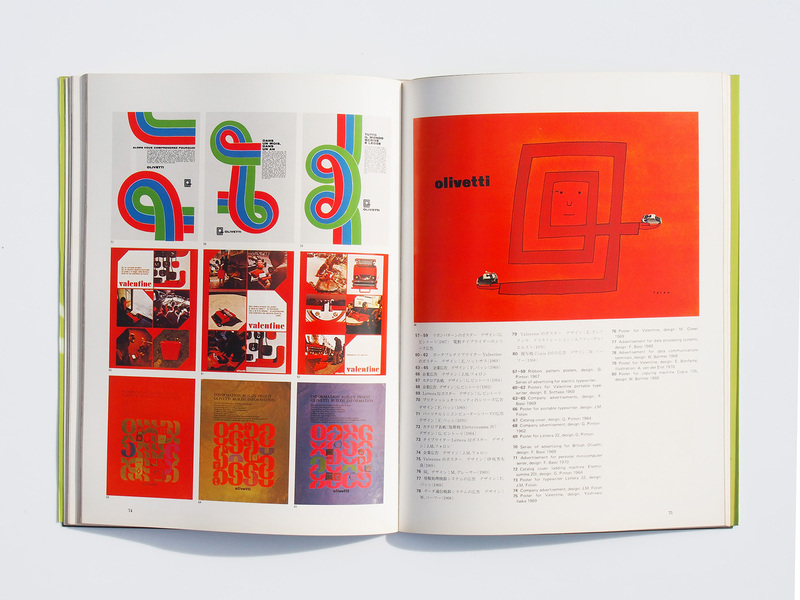 it was developed on the basis of an attitude of glorifying humanity and giving full expression to the talents of designers and artists without defining strictrules for each design element. 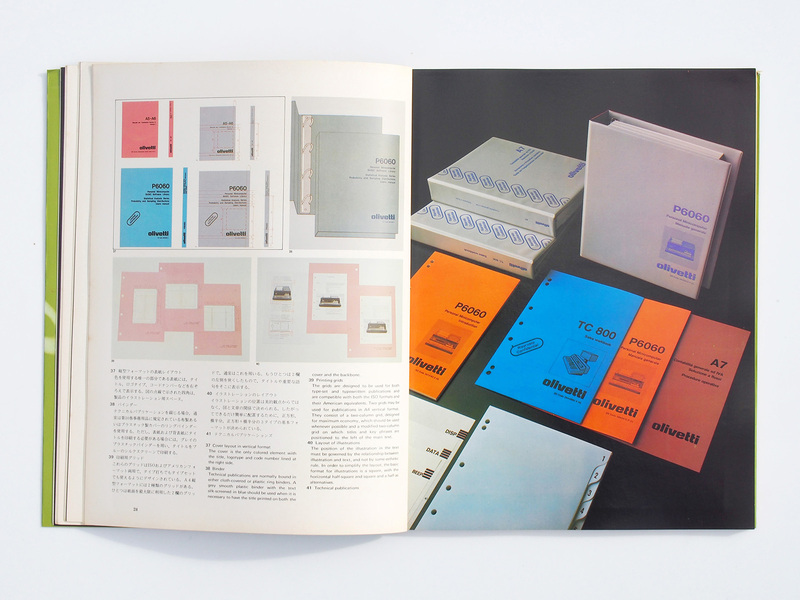 From the mid-1960’s, however, the increasing importance of expanding production and sales on an international scale made a strong and clear corporate image a necessity. 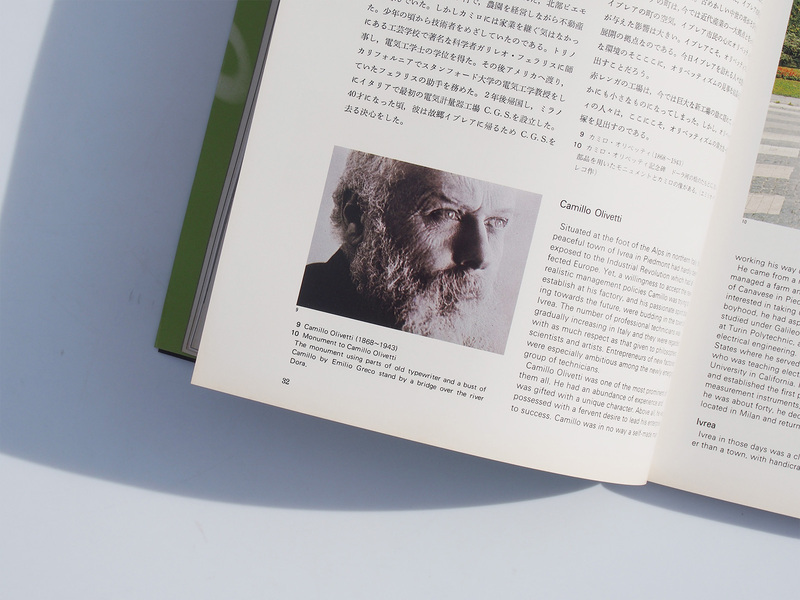 A lack of unity and regional disparity in esthetic standards are unavoidable if design and image control is based on individual judgment. 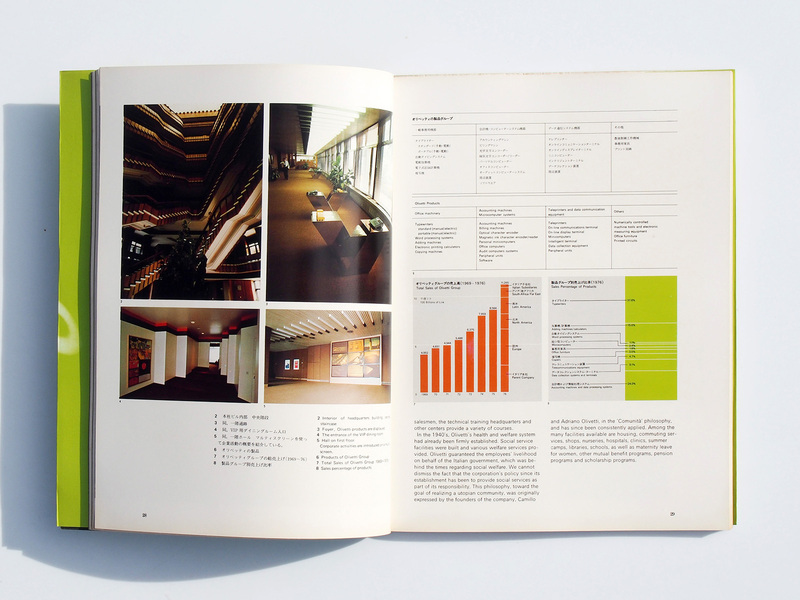 Thus, a standardized method and tool was sought which would enable anyone to meet a minimum level of standard design. 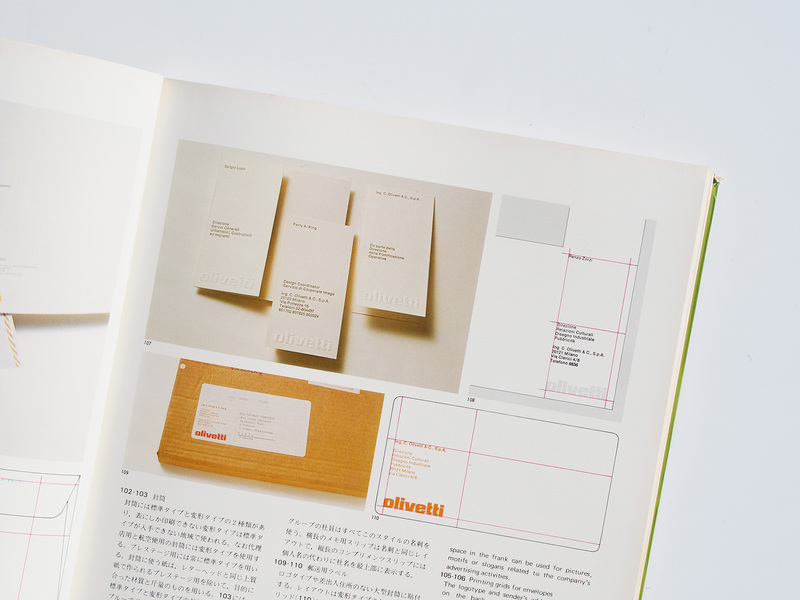 Let us analyze the reasons why Olivetti decided to develop a new identification system in the 1970’s. 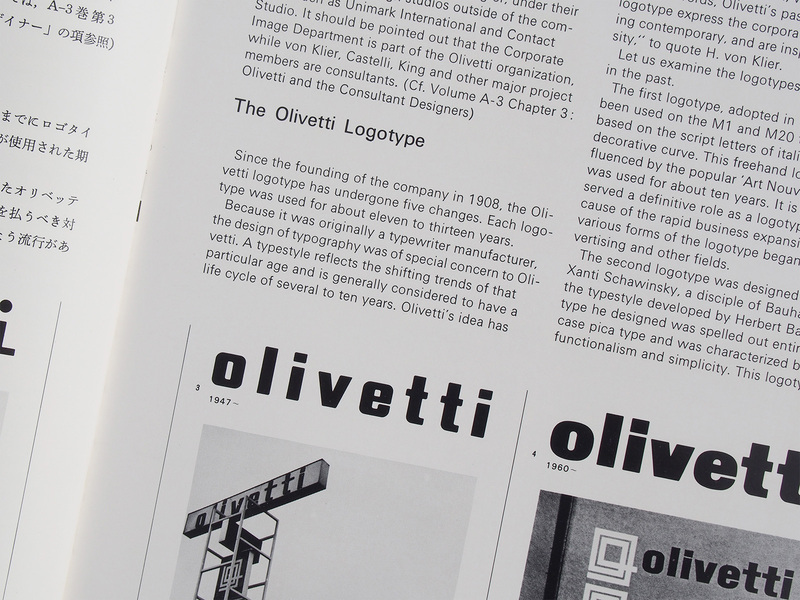 First of all, with the growth of the corporation and its expansion in various fields, product categories and area of operations, it became difficult to maintain the Olivetti identity that had been established by the relatively free methods of the past and still produce effective results in business. 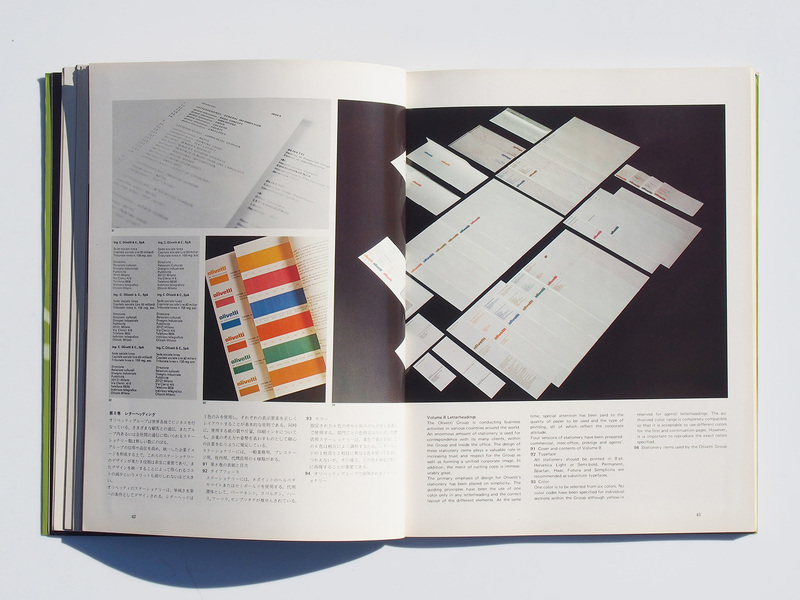 Thus, the establishment of an identity and strong central control of design activities became necessary. 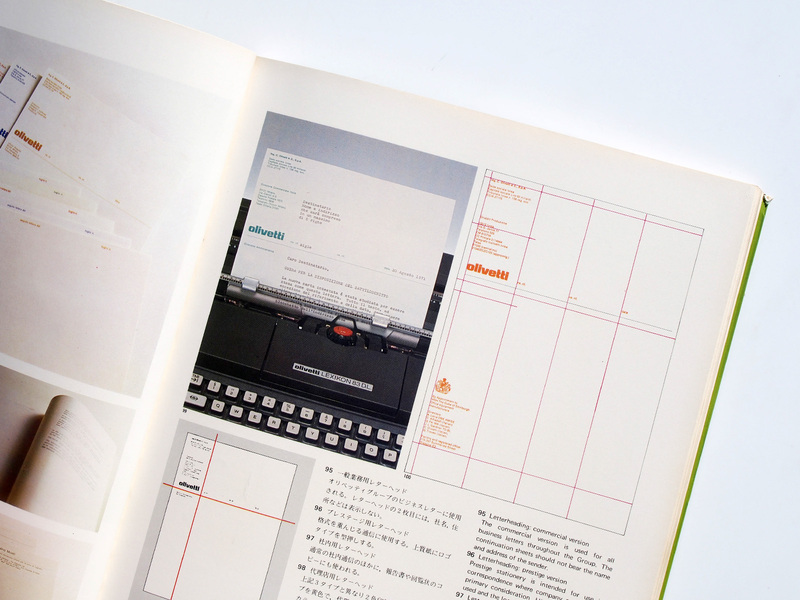 In reality, such problems were common, not only in the case of logotypes. The third reason was financial. 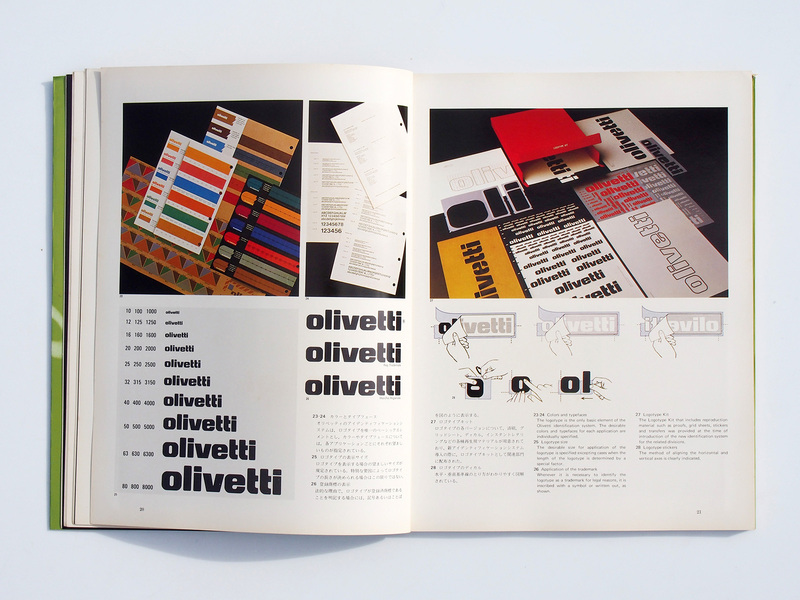 By establishing unified specifications for materials and design, Olivetti attempted to reduce the costs involved in the numerous office supplies, forms, identification signs and avariety of other items used within the Olivetti Group. 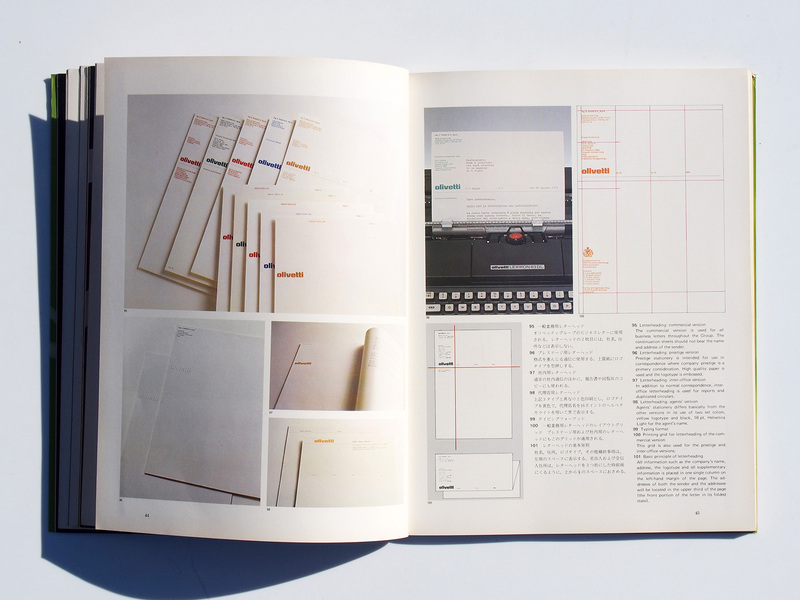 One of the goals in introducing the new design system was to benefit in this way from standardization. 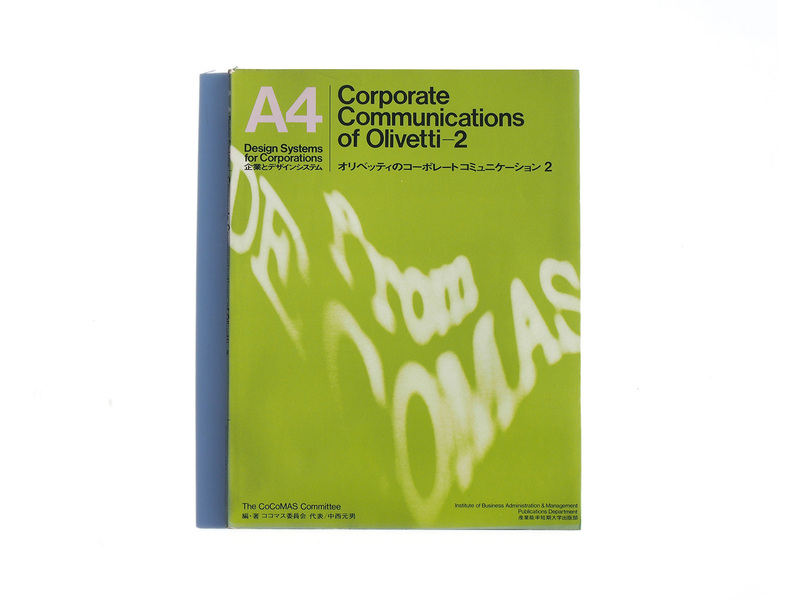 The Corporate Image Department of the Direzione Relazioni Culturali, Disegno lndustriale, Pubblicita (D.R.C.D.l.P.) is responsible for the development of the identification system. 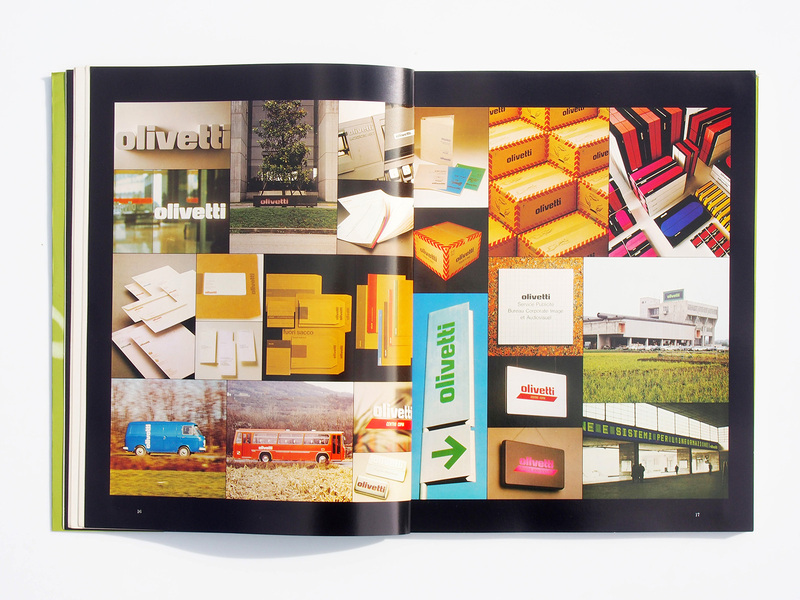 Hans von Klier, the manager, is directing the project with two design coordinators, Clino T. Castelli and Perry A. King. while von Klier, Castelli, King and other major project members are consultants.